No matter where you travel in Europe you'll usually be able to find yourself a nice refreshing beer - it may come with a huge frothy head or a smaller more creamier one - but it certainly flows freely across Europe. If you're thinking of traveling across Europe you're going to a specific country and you want to make sure you can order a nice refrehsing glass of beer - this infographic from Feòrag NicBhrìde. It's a map of Europe that offers the world for beer in different countries, from Bira to Olut, Ale to Pivo. 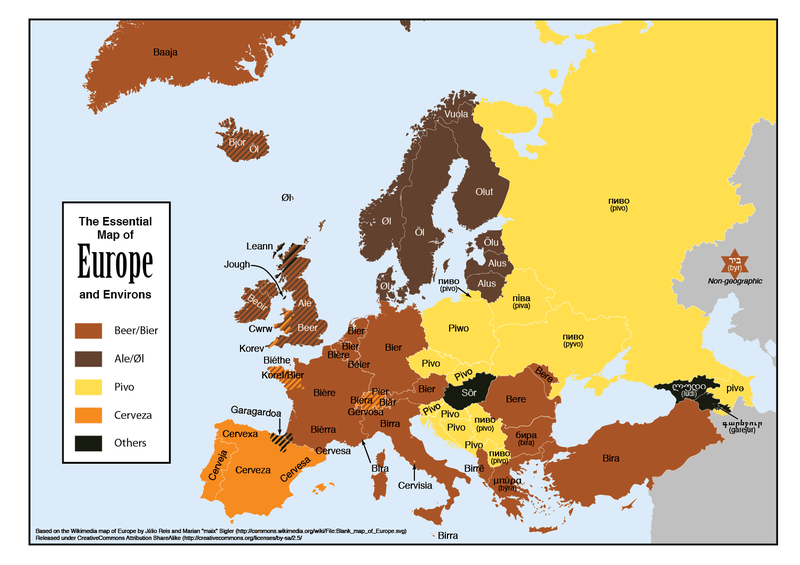 It's a fun look at how the word differs across Europe and is essential studying for any beer aficionados planning a trip to any of these countries. Click on the map for a larger verson.